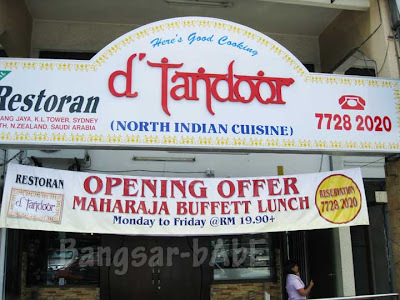 Shum and I spied the RM19.90+ Maharaja buffet lunch at D’Tandoor on our way to work. Curious, we decided to check the place out, and dragged rif along. The place has a classy outlook, without being too intimidating. 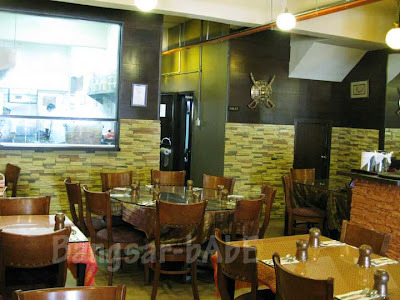 Its sandstone walls gives the restaurant a cosy, personal feel, making it ideal for business functions and gatherings. 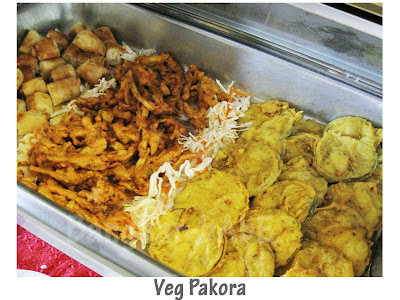 I started with some veg pakoras. The freshly fried vegetables were crispy and piping hot. My favourite was the popiah-looking one at the far left! 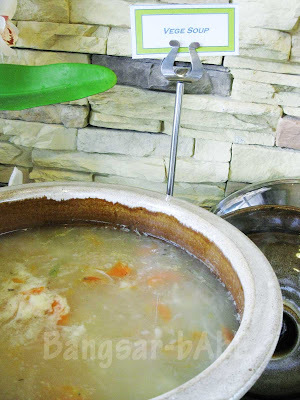 Pajeri Terung is a Malay dish, which was included in the buffet to cater to the Malay crowd. The brinjal was soft, yet it still retained some bite. It was spicy, but not overly so. This was a joy to eat with naan. 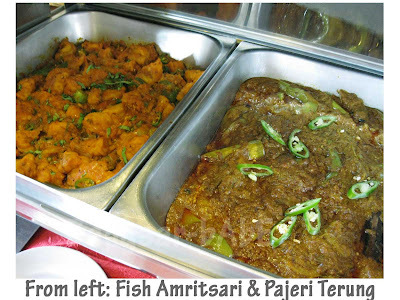 I especially enjoyed the Fish Amritsari, which is a classic Punjabi dish. 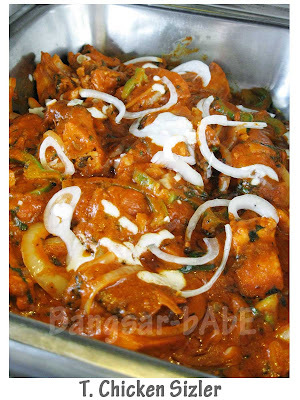 The fish slices were tender and covered in a thick sauce with onions, tomatoes, black pepper, chillies and spices. The vegetable soup was just alright for me. It was thick, peppery and slightly spicy. A tummy-warmer. 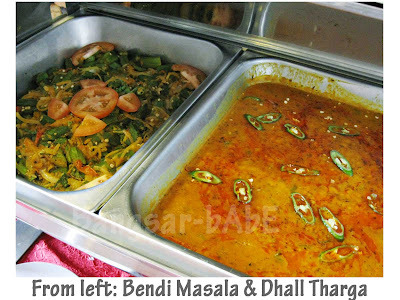 Shum liked the Bendi Masala (she loves lady’s finger/okra), but I found this average. Cooked with fragrant spices, it had a slightly gluey texture, which I presume came from the sap of the okra. 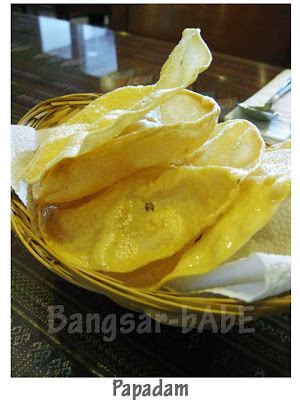 The papadam was fresh out of the fryer, hence the slightly oily surface. I didn’t eat the rice, too much rice makes me sluggish at work. =P The beef kerisik was also catered for the Malay crowd. 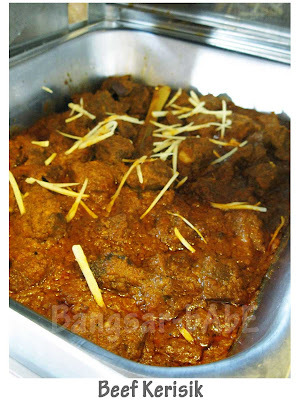 While the gravy was quite tasty, thick and spicy, the beef chunks were too tough. The chicken sizzler did not wow me either, probably because they used chicken breast. I prefer chicken thigh, as the breast part tends to be dry. But the naans…oh-the-naans! They were tasty enough on their own, especially the garlic naan. Soft, bread-y and light, these were good! I asked for another serving of these. 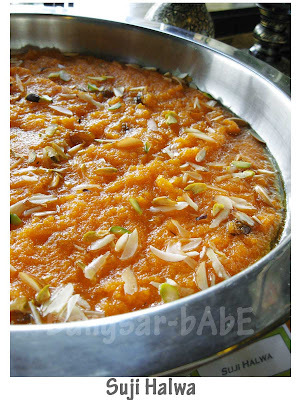 The Sugi Halwa was not as sweet as I expected it to be. There was a lot of ghee in it! 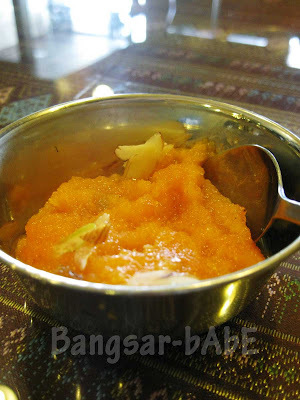 According to the manager, ghee gives flavour and aroma to the halwa. 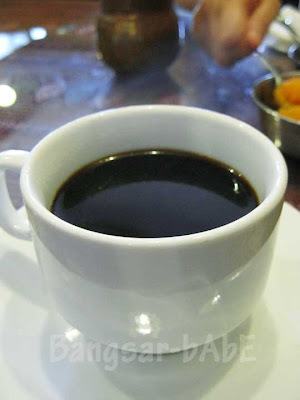 We enjoyed this with a cup of black coffee. Shum and I found the food quality quite consistent on both our visits . The service was also commendable. The waiters were attentive and even asked if we would like them to get us some soup from the buffet counter. On our return visit, the Gajar Halwa was complementary. 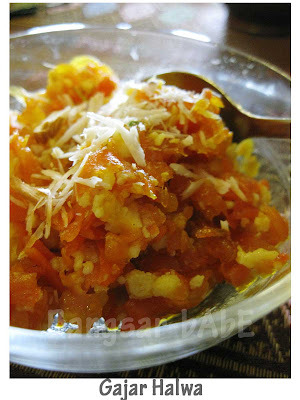 This combination of shredded carrot flake, bits of lentils and dry fruit was pleasing to the palate. It was slightly milky and not overly sweet. 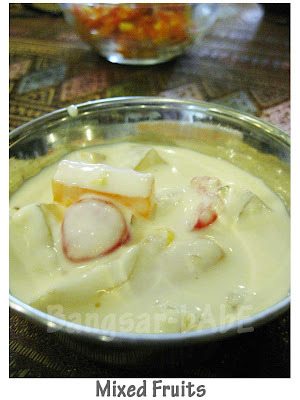 I liked this better than the sugi halwa. Shum and I loved the mixed fruit dessert (part of the buffet). Simply put, it’s just mixed fruits in a yogurt dressing. Everyone else at the buffet liked it too, as there was none left when we went back for seconds. 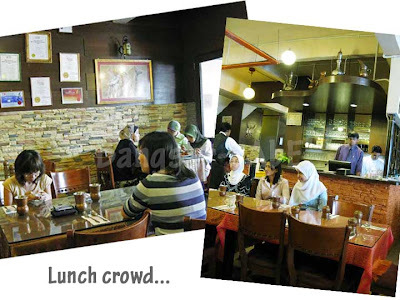 o_0 When we were there, they had a Buy 2 Free 1 lunch buffet promo so we paid RM44 for the three of us (RM14.60 per pax). Not sure if the promo is still on, but you can call to check. The buffet menu changes every day, so we’ll definitely be back to sample more! Verdict: Quality, consistent food and good service. maybe this might change her mind after all??? 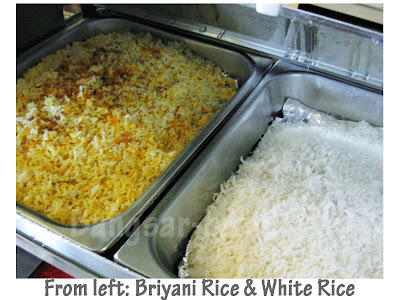 Very reasonable price for buffet! Food looked very appetizing. But parking must be a killer there eh? oh darn..mon to fri only…hv u tried pakeeza? What a deal! 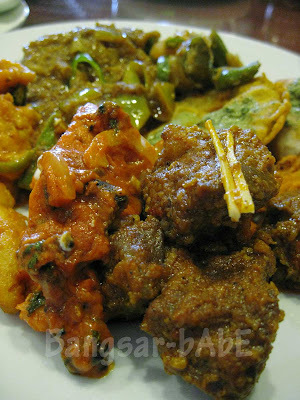 And buffets on weekdays… ultimate indulgence and snooze-inducer! I am totally sold on your description of the naan! Very great deal…lots of variety…i want some naan as well…so yummy!!! SimpleGirl – Yup…and you get to try a variety of food! Joe – They have butter chicken, but so happened it wasn’t available when I went on that day. Order it ala carte? nomad – No wor…nice ah? Sean – Ya lor…ala carte would definitely cost more! Quite a bargain , since if this is Kayu , Pelita or one of those wannaB Maharaja outlets , even one scoop of briyani rice with a fish back fin will cost close to RM14 ! Good find ! next time do drag us along ( from the pub nearby )! Good stuff, northern Indian food though spicy is kind on my sensitive stomach. 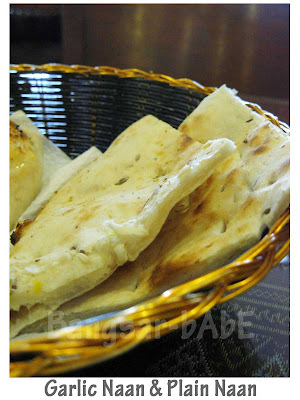 Naan or berianyi?? BSG – Ok! But buffet is only for lunch…dinner is ala carte. 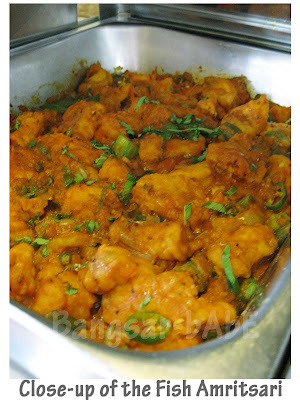 Indian cuisine is quite healthy if you do not opt for too much meat. RTC : promise, next time. i bring u eat Telur-Roti! Sounds very delicious.I hv been to the one in precinct 10 in penang.do check it out,I hope u will like it!your description of the food always makes my mouth water!I love prawns so hopefully they will hv something for me there.